On the surface, the 2015 Steam Winter Sale seems fairly mundane as these things go: Good deals, cute comic, but nothing we haven't seen before. But maybe—just maybe—there's more to it than meets the eye. The Steam Sale Detectives on Reddit have discovered a rabbit hole, and at this point there's no telling how deep it goes. "I was on the right track. I could feel it. Tomorrow, I was going to search again." That's not all: The “incorrect” Hitman bar code replaces three numbers—6, 0, and 4—with three 9s, which also happen to figure prominently and in a similar sequence in a string of text hidden in the Northpole Noir “Sending a Message” trading card: 794E2CEA991. 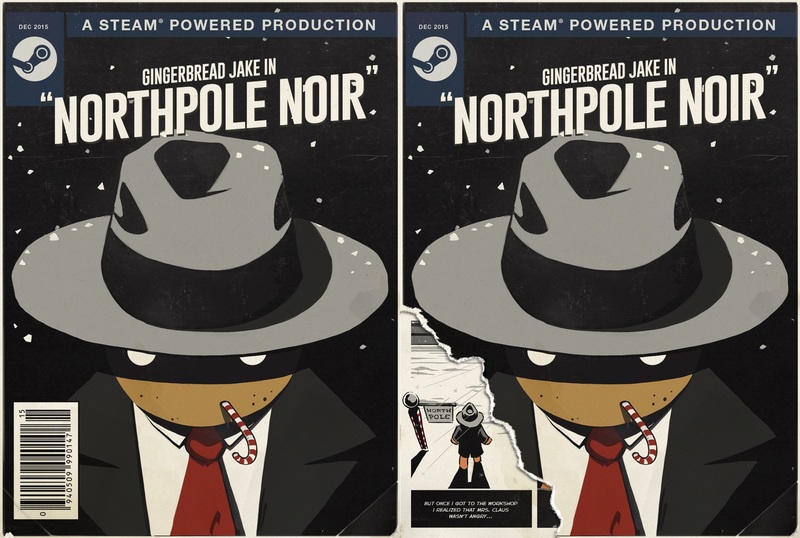 There are other potential clues as well, like the “nesse” printed very faintly in the bottom-left of the first page of the Northpole Noir comic, which just happens to be under the part of the cover that was torn away. Some or all of them may be red herrings, but one thing's for sure: There's a mystery here, and we need to solve it.